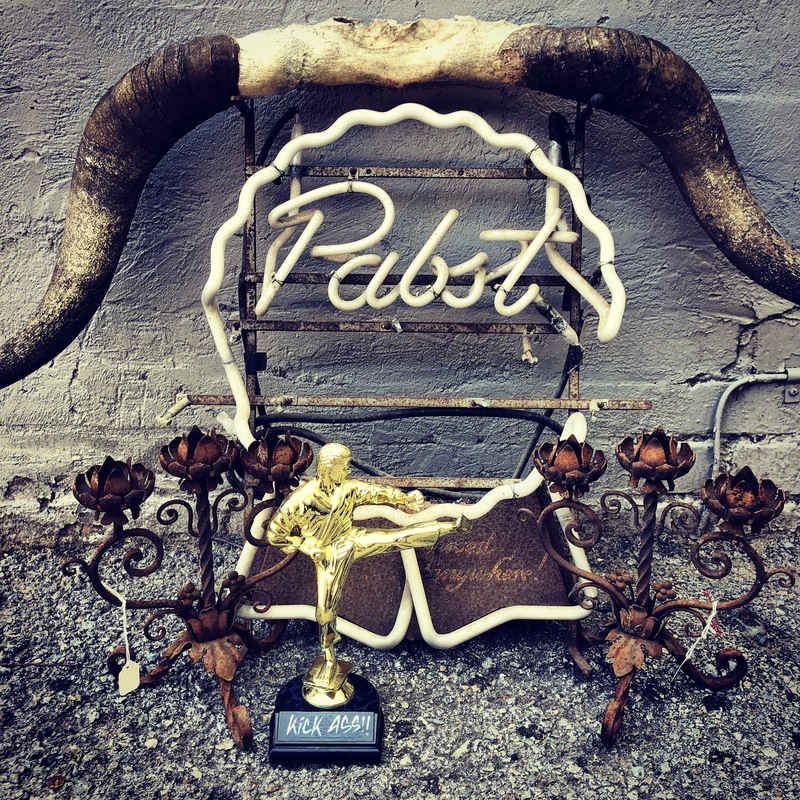 We made a little shrine with some of the new things we just brought in to sell at the shop!! 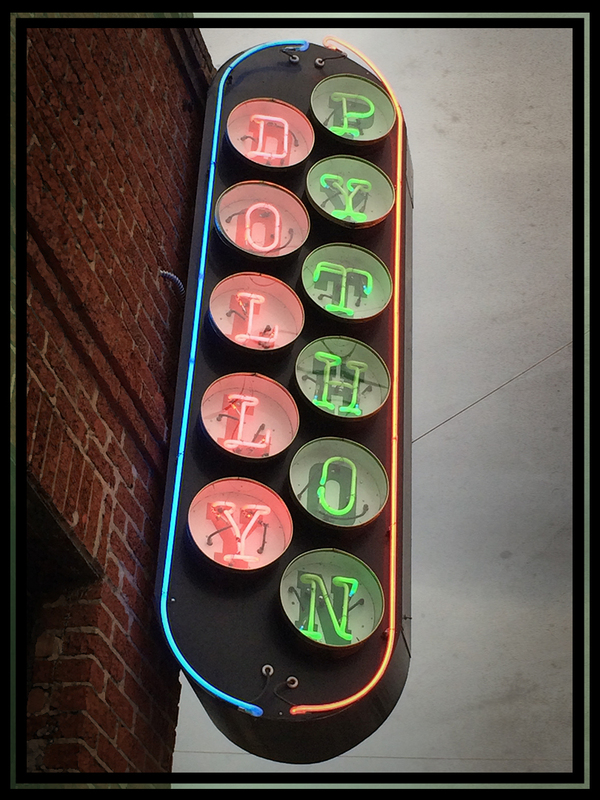 Don’t give us a hard time over our new merchandise. 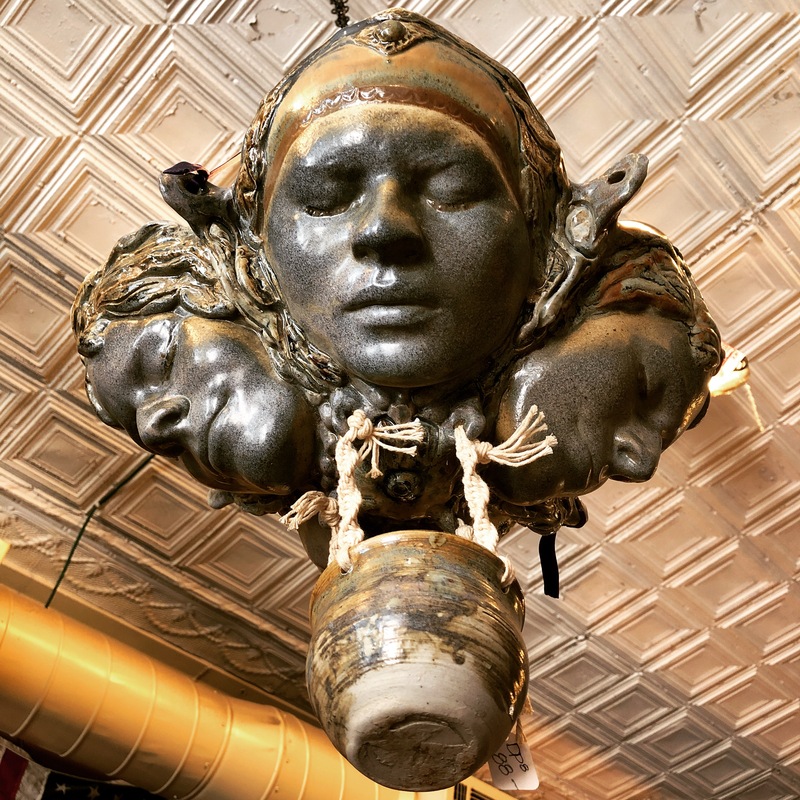 Just come buy it. 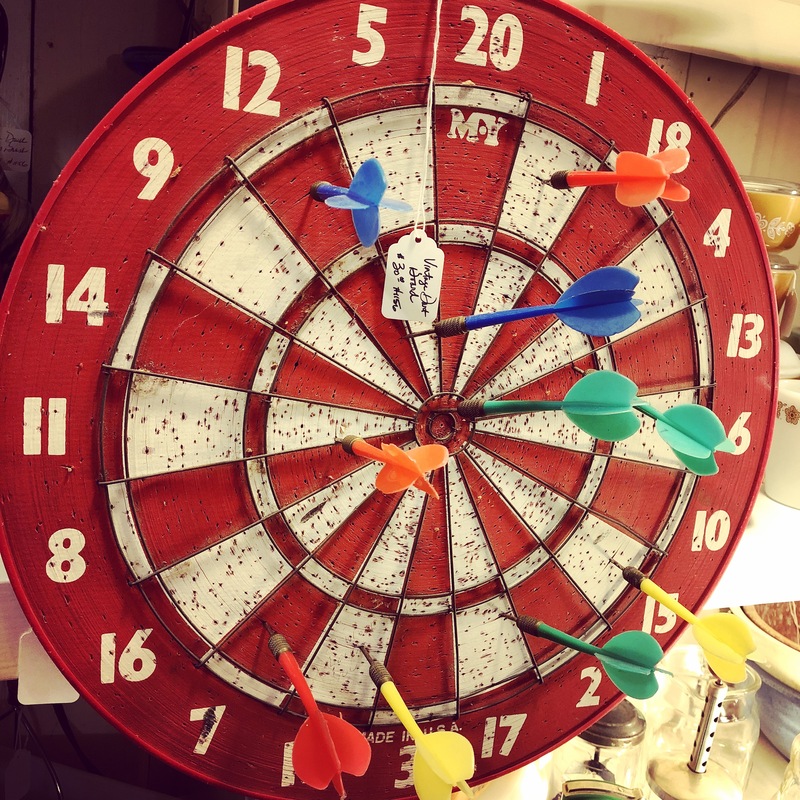 Vintage dart board game $30. A cement bulldog $90. 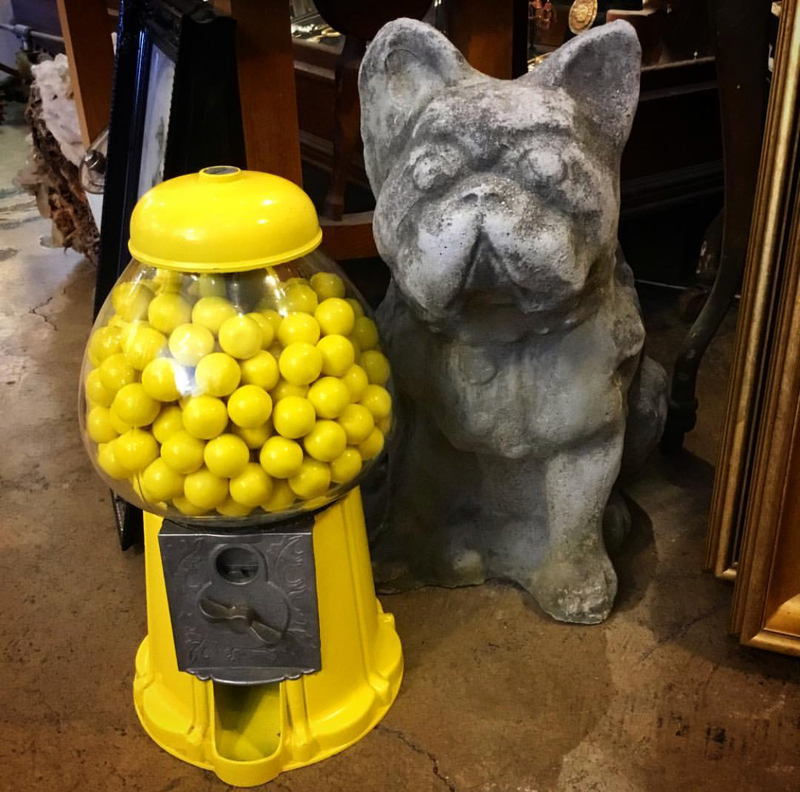 A yellow vintage gumball machine $98. 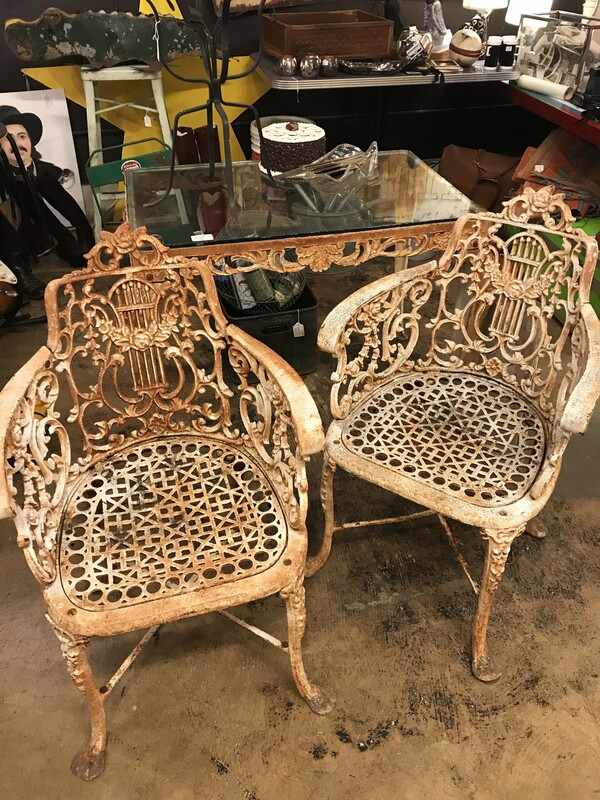 A wonderful perfectly aged antique table and two chairs. $320. 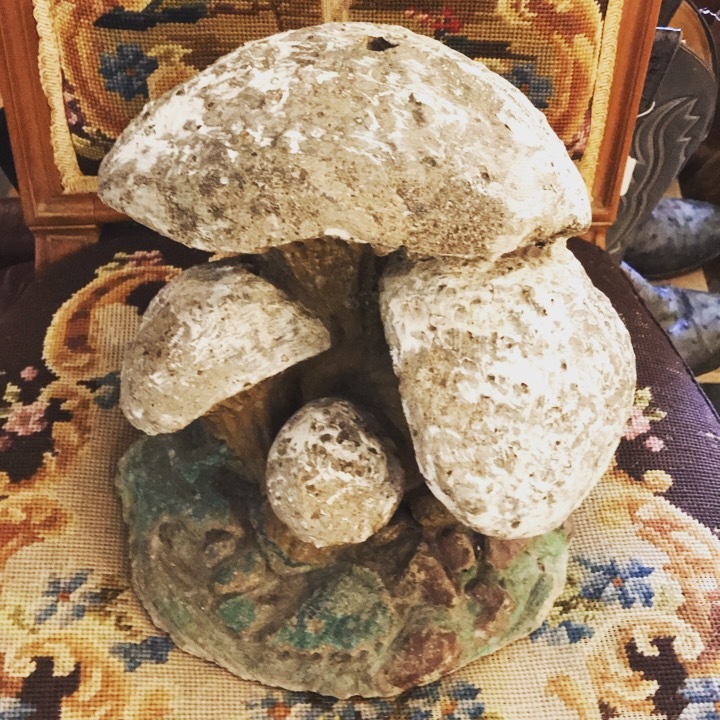 Concrete decorative mushrooms for your lawn or patio that you don’t need to water!! 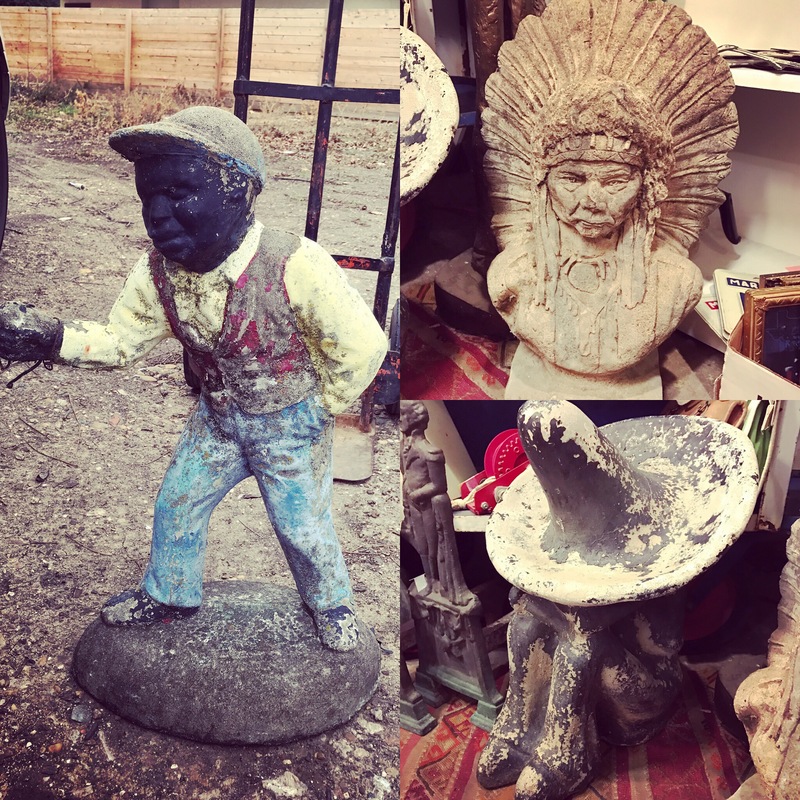 Three really awesome old concrete statues just came in!! $75-$295. 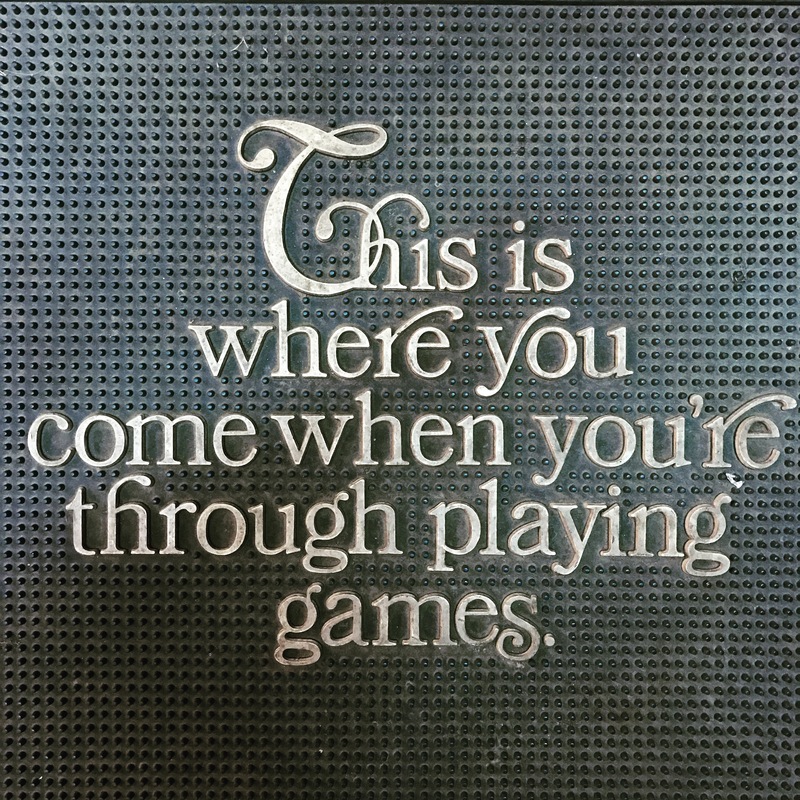 When You Are Though Playing Games door mat from some local jewelry shop here in Dallas. $28. 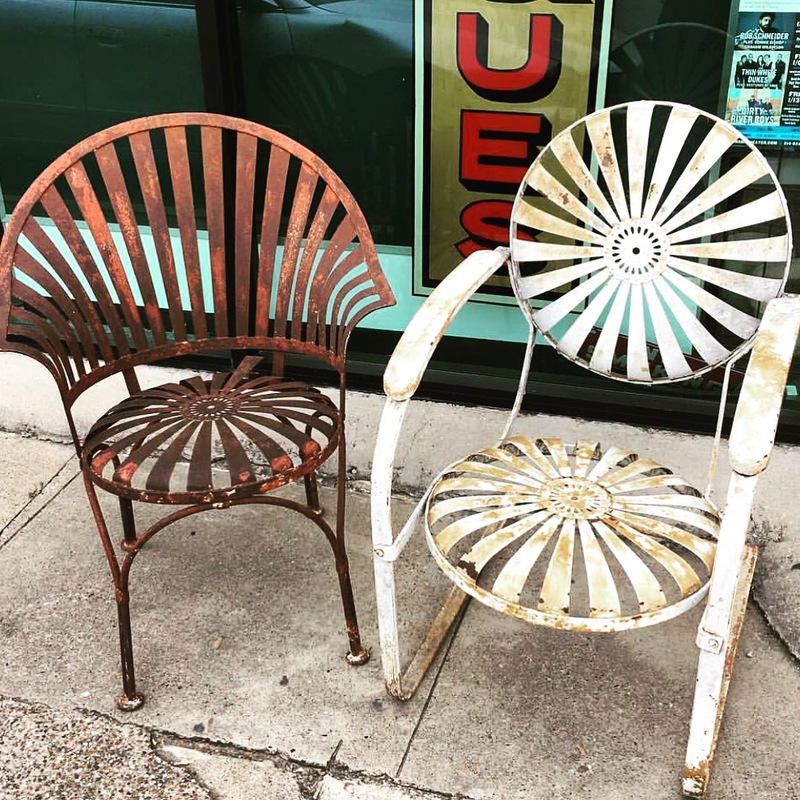 LOVE these old well worn patio chairs!! 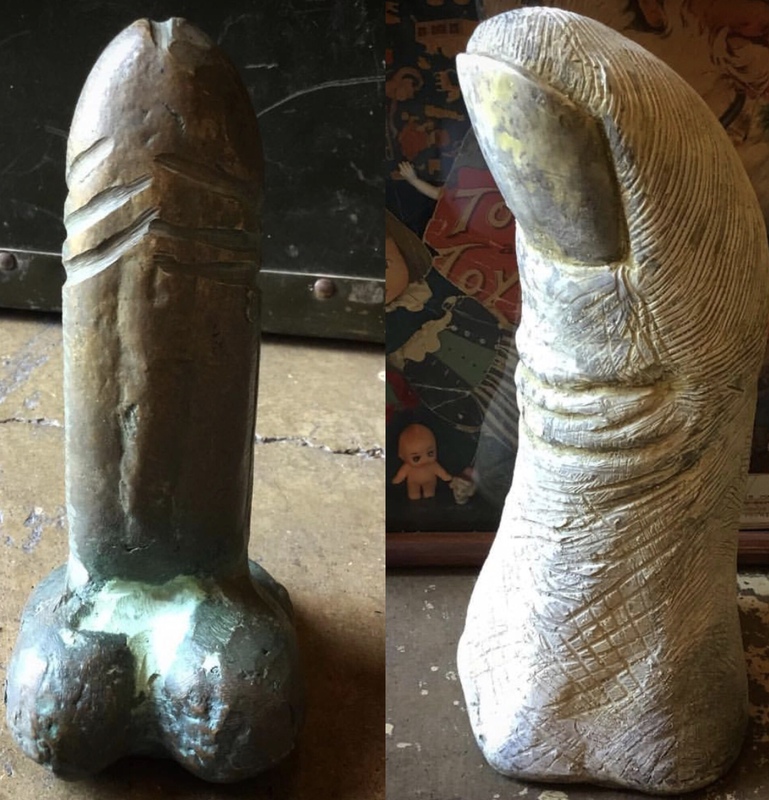 $85 each.